we have participated in many educational events related to climate change organised with the support of the Capital City of Warsaw as part of the Partnership for Climate platform. 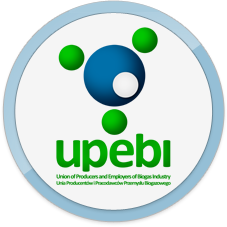 UPEBI’s primary goal is to provide versatile support and legal protection to its members and shape a uniform standpoint with respect to all issues related to their business activity. We cooperate with research and academic centres to develop innovative technological solutions contributing to a more dynamic development of the industry in Poland and in the world. We promote the biogas industry and conduct related trainings in order to increase public knowledge about the possibilities of biogas production and its use as a renewable energy source.